July 25, 2010 - ADS United Kingdom’s AeroSpace Defense and Security trade organization and its subsidiary company Farnborough International Limited (FIL) on Friday announced the orders and attendee figures to date for the Farnborough International Airshow, held in Hampshire, United Kingdom between July 19th and the 23rd. The 2010 show was sold out with an increased number of exhibiting companies, 1450 compared to the 2008 show of 1393. There was plenty of excitement at the airshow; with over 120,000 visitors each day, 11 UK Government ministers, as well as ministers from around the world, as well 70 delegations from 44 countries were in attendance. Orders for the show so far total $47 billion. As expected given the current economic climate visitor numbers on trade days were down about 8 per cent from 2008 figures. The peak boom year for the airshow was in 2008 when the show saw $88.7 billion in orders. In 2006 the airshow recorded $46 billion in orders. The airshow contributes about £20 million to the local Farnborough economy. “The 2010 Farnborough International Airshow has been very successful and the figures demonstrate the mood of strong optimism that there has been around the show this year, which is very encouraging given the current global economic climate. To see over $47 billion dollars worth of business done and the quality of the business transactions at the show is a testament to the endurance of our sectors, their positive contribution to UK and world trade as well as the significance of the show itself’, Ian Godden, Chairman of A|D|S. “We thank all our guests at this year’s show for attending and contributing to a successful Airshow. We hope very much to see them again in 2012. The FIL team has done a marvelous job and they deserve both my thanks and the thanks of our guests this week for ensuring such a smooth-running event. We’re looking forward to welcoming around 3,000 young people today, Futures Day, plus an expected 160,000 people for the public weekend to round off what has been a tremendous week at Farnborough”, said Shaun Ormrod, Chief Executive of FIL. The event will continue through Saturday and a final total for the whole week of the Airshow will be published early next week. 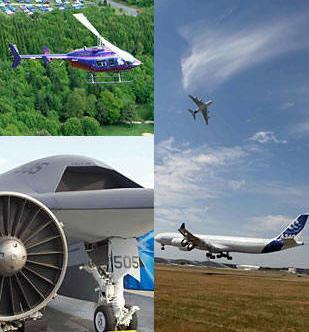 Farnborough airshow is the world’s largest temporary exhibition. The “build up” period takes four months prior to the start of the show. 3,600 tons of temporary structures are transported to the show site. 90,000 sq m’s of structures are erected on site, providing tailor-made floor space that would accommodate London's Royal Albert Hall.